Never end a period of examination without identifying some progress that you have made. Examine and celebrate your progress today by using The Dynamic Catholic Prayer Process (see below). If you’re reading Perfectly Yourself, read pages 21–25 (paperback version) or pages 23–27 (hardcover version). Awareness: Revisit the times in the past 24 hours when you were and were not the-best-version-of-yourself. Talk to God about these situations and what you learned from them. Significant Moments: Identify something you experienced in the last 24 hours, and explore what God might be trying to say to you through that event (or person). 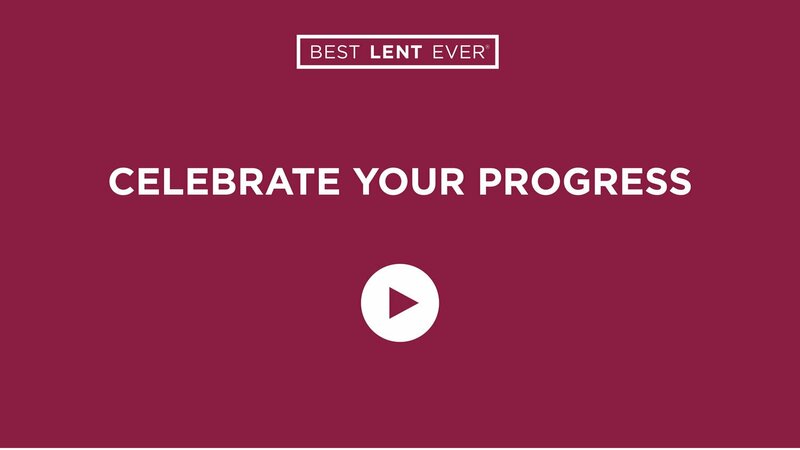 How do you celebrate progress?